Dr. Amanda Kemp is the founder and Artistic Director of Theatre for Transformation. She is an author, consultant, and performer, blending activism and spirituality, theater arts and history. Dr. Kemp has been a lifelong poet-performer and advocate for racial justice and equality since 1983, her first anti-apartheid march. Dr. Kemp earned her B.A. from Stanford University, and a doctoral degree from Northwestern University in Evanston, Ill. In 2007 she founded Theatre for Transformation and has taught at Cornell University, Dickinson College, The University of the Arts and Franklin and Marshall College where she chaired the Africana Studies department. Dr. Michael T. Jamanis received his Bachelor of Music from The Julliard School, his Master of Music from Yale University, and a Doctoral of Musical Arts from Rutgers University. He has been the recipient of numerous awards throughout his career, including the Lincoln Center, Victor Herbert, Metro-Media, and National Federation of Music Clubs Awards. He has appeared as a soloist on NPR radio and PBS television. He is a founding member of the acclaimed Newstead Trio and has performed in major concert halls worldwide as a soloist and chamber musician. Few musicians are as accomplished as Francis Wong, considered one of “the great saxophonists of his generation” by the late jazz critic Phil Elwood. A prolific recording artist, Wong is featured on more than forty titles as a leader and sideman. For over two decades he has performed his innovative brand of jazz and creative music for audiences in North America, Asia, and Europe with such with such luminaries as Jon Jang, Tatsu Aoki, Genny Lim,William Roper, Bobby Bradford, John Tchicai, James Newton, Joseph Jarman, Don Moye and the late Glenn Horiuchi. But to simply call the Bay Area native a musician would be to ignore his pioneering leadership in communities throughout Northern California. Wong’s imaginative career straddles roles as varied as performing artist, youth mentor, composer, artistic director, community activist, non-profit organization manager, consultant, music producer, and academic lecturer. Key vehicles for his work are Asian Improv aRts, the company he co-founded with Jon Jang and as a Senior Fellow at the Wildflowers Institute. 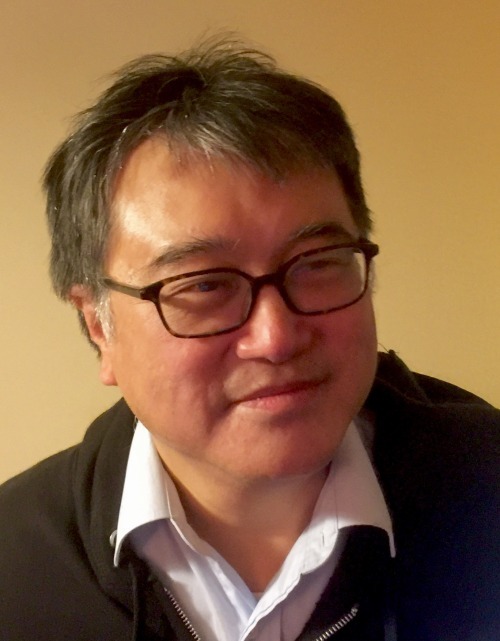 In addition, Wong was a California Arts Council Artist in Residence from 1992 through 1998, and a Meet The Composer New Resident in 2000-2003. In 2000-2001 he was a Rockefeller Next Generation Leadership Fellow. He has also been a guest member of the faculty at San Francisco State University (1996-98) and at University of California at Santa Cruz (1996-2001).